How to choose a good one & sift through the crap. Contrary to popular belief (at least in Facebook groups), naming your business is a big deal. It’s a giant pain in the tush changing it down the road when you have stacks of legal paper to go through, a dozens of pieces of marketing collateral to revise, team uniforms to produce, and the potential trademarking fiasco you may end up dealing with. Do it right from the beginning and save yourself time, stress, and sanity. If you are part of any online community (Facebook groups, Reddit threads, Quora, Alignable, LinkedIn groups, etc.) 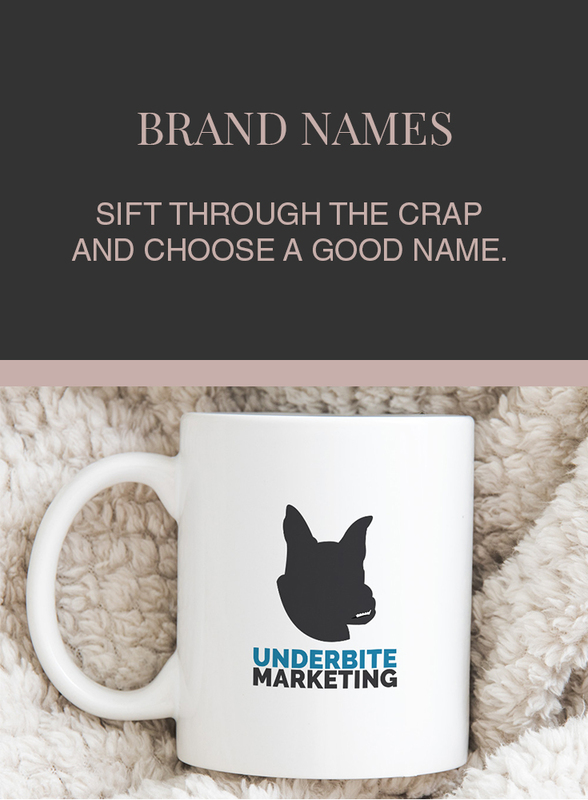 you’ll see how many people hold off on starting a business because they’re wanting to choose the perfect name. On the other end of the spectrum, in those same groups, you’ll see others who don’t think twice about naming their business. They sprout comments like “Oh, we’ll just change it later on”. They’re not wrong – you are certainly able to change it later on. The caveat? As your business grows, the difficulty and hassle of changing your name also grows. Let me tell you, as someone who helped an organization roll out their new logo and colors to a staff of 200 people, it’s not easy to do. Just changing the logo took months of emails, calls, sending an re-sending emails, to get everyone on the same page. Employees are people and they get stuck in their ways. It takes time and commitment to make sure any changes are being upheld at every level, from employees, to vendors, to social media and any online presence you have. Of course there are times that changing your name is necessary, and when that happens, you need to have an organized process. You can grab my rebrand checklist here if you’re looking for something to guide you. Learning the ins and outs NOW, before choosing your brand name, will help you save time in the end. You’ll be able to have an informed decision with the name that you choose and decrease the chances of having to change it in the future. So, without further ado, let’s just into it. Download the brand naming worksheet / checklist here. A lot of people skip this part. Don’t skip this. Look at your competitors and gather information about who and what is out there. When you do a marketing analysis, you’ll want to concentrate on your top 3-5, but it’s not a bad idea to look up 20-25 to get an understanding of the landscape. Once you gather information about their names, their branding, who they’re targeting, and what kind of “vibe” or style they are going for, you can begin to draw insights. Where are the gaps? Where could you easily fit into? Research isn’t done to copy others. It’s simply there to inform your decisions. Drawing insights will be one of your biggest advantages going forward as you’ll be able to see where others are failing and where you can shine and create a space for yourself. Before you go off choosing a name and getting your branding done, you need to do an audit of your business. For those who are considering renaming their business, you’ll want to look at your current offerings (products, service, programs, etc. ), who you’re serving, if your mission, vision, and values still pertain to what you’re wanting to do. If there are any misalignments, you’ll want to note where those are at and where you’d like to make changes. As you have most likely identified areas that are no longer in alignment, which is why you’re reading this in the first place, you’ll need to establish what new direction or vision you have. If it is a new market, who are you now trying to reach? Get as much clarity as you can about how your business will be structured and how you want it to function moving forward, and you’ll be better off. For new ventures, you’ll want to establish a general direction of where you are wanting to go. What do you want from this business? What is the overall mission? Why should anyone even care? How do see this business interacting with the world in 1 year? 5 years? 10 years? Below are things you need to consider while doing an audit of your own brand. Brand architecture is basically a strategic growth plan for your business. The structure in which you choose for your business will guide its growth (or hinder it). By putting a brand architecture structure in place early on, you’ll be able to avoid a narrow branding focus, misbranding, or having overlap (in products or service). There are two main architecture structures to consider: A house of brands and a branded house. Understanding how you want your business to function will help you narrow down the type of name you want to use. Read more about brand architecture here. It’s important that your brand has a personality. If your brand were a person, what kind of person would it be? Nurturing? Energetic? Trendy? A hispter? Is your brand loud or quiet? Is your brand luxury or economical? The attributes you choose for your brand will help you choose your brand language and visual elements. Named after the founders, these tend to be more conservative sounding. Cons: Any negative press to do with the person will heavily impact the business (Martha Stewart, Lance Armstrong). You’ll need to be prepared to weather any PR storms that may happen in the future. Pros: Quickly conveys the purpose of your business to your customers, which results in fewer marketing dollars spent. Cons: With the limited amount of .com names, it will only get harder to choose a descriptive name. There may be other businesses in your vertical that have very similar names. These names are made-up words or the combination of words that create something new. (Accenture was derived from “Accent on the Future” and Xobni is “inbox” spelled backwards). My name, ProlificBanana, is a combination of this category and the metaphor category below. While the words “Prolific” and “Banana” are legitimate words, together they create something new. Not all names fit perfectly into a category, so if yours is something like mine, think of which category it most resembles or which ones it differently doesn’t resemble. Pros: These names can lead to some of the strongest branding for a product/company. Think of Kleenex and Xerox: both names have become synonymous with their products. These names can also be simple to trademark since they tend to be unique. Personally, names like these are built-in openers when meeting new people. I have lost count of the number of times I’ve been asked about how I came up with my name, what it means, or just comments on how it’s interesting and how people “love it”. Cons: These names are unlikely to communicate immediately to the consumer what your company or product is about. It requires a larger marketing effort (whether that is paid or through content marketing, education, etc.) A good tagline, positioning statement, or brand manifesto are a great way to compensate for the lack of clarity with the brand name. These names describe the nature of a company through reference to people, places, things, or foreign words. Puma, the popular athletic brand, uses the metaphor of a fast, agile animal to communicate its brand. 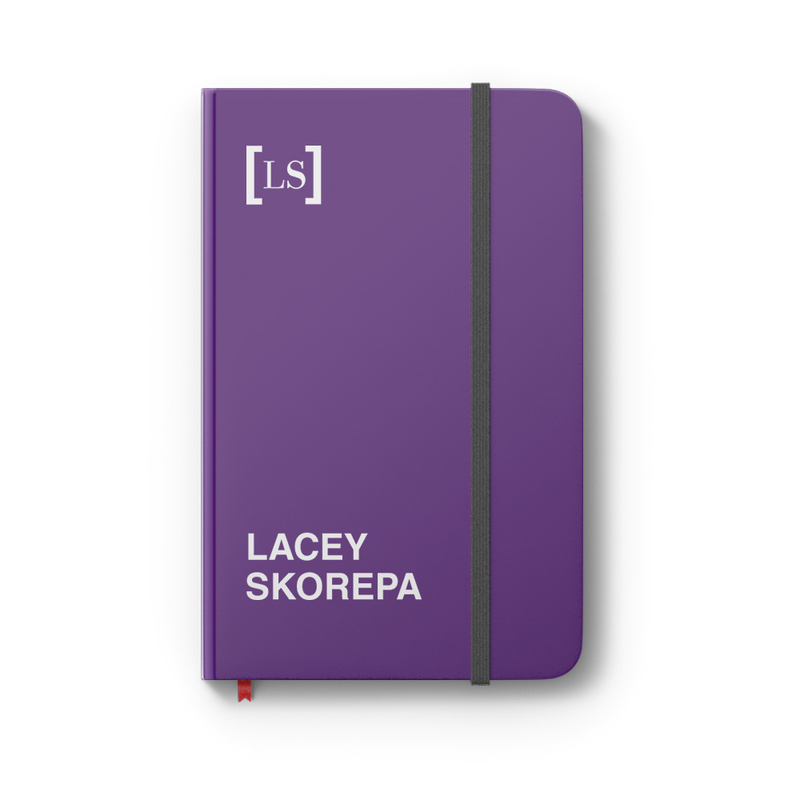 Pros: Can serve as a creative way to convey your brand without being overly obvious. It can be helpful staying away from cliches. Cons: The name could be misleading and requires a larger marketing effort to become known in the marketplace. Names also tend to be common words which can be difficult to trademark. In the case of my name, both “Prolific” and “Banana” are common words. To avoid it being too common, I combined the words into one – “Prolificbanana”. In a lot of ways my name most closely resembles the metaphor category but by combining the words, I’ve created a new word, which also gives me the pros of the Fabricated category (and some of the negatives, which are basically shared for both categories). My name is metaphorical in the sense that a banana is a common fruit and on the surface level, a pretty basic one. When you really think about a banana, you then realize how many uses there are for it – how many desserts and breads use banana? You can substitute other ingredients for a banana. In that case, they are really, a prolific fruit. Much like myself, I seem rather ordinary but after getting to know me, you realize that while I seem like your average Midwestern woman, I’m well-traveled, having lived in Egypt for a while and I’m adventurous, having lived in an underground dwelling without running water for 9 months. I bookbind, write, design, draw, lift, and have other hobbies. I’m quite a prolific person, underneath the ordinary exterior. These experiences allow me to help my clients find their golden nugget of weirdness (or uniqueness, however you want to frame it). These names form a new word or words based on acronyms that carry a message relatable to the band. AOL is derived from “America On-Life” and Asics is an acronym for “anima sana in corpore sano,” which, in Latin, means “healthy soul in a healthy body”. Pros: With longer names, an acronym, like AOL, is shorter and can allow your company to quickly sound like a well-established larger brand. As with descriptive company names, if your acronym is unique, obtaining a trademark shouldn’t be difficult. Cons: Depending on the length of the acronym, it can be very difficult to obtain an available .com domain, particularly in the case of three-letter or four-letter names. You will also need to expend additional marketing effort to ensure that your audience won’t confuse your letters or jumble them up. I know that I’ve done that with other businesses, especially when there are similar sounding or looking letters next to each other. These are basically common words spelled differently than they usually are. Think of Lyft, or Svpply. These tend to appeal to a younger demographic of people. Pros: It can be an easy way to obtain the domain that you want..
Cons: Almost everyone will misspell your name at some point, especially if they’ve heard it verbally (word of mouth, radio, etc.) If they’ve only seen it written, they may not know how to pronounce it. A larger marketing effort will be required to educate your audience about the name of your brand. If other businesses in your vertical have similar, but spelled differently, names, it may be hard to trademark your name as the United States Patents and Trademark Office (USPTO) deems that it can cause confusion. This category comprises names that consist only of a number or that combine a word with a number to convey the story of their brand. Think Formula 409 (more commonly referred to as 409). After creating 408 different formula versions, two scientists developed the winning formula blend that is used today. It’s a fun story and the name hints at it, while also being rather obvious after hearing the story. Pros: Creating a story between a word and a number can make for a memorable name. Being able to tell an interesting story results in more people remembering your brand more often. It can also be easier to trademark your name and obtain a domain. Cons: It might be difficult get a domain if is only 3-4 numbers. Longer names can also be more difficult for your audience to remember. It’s imperative to find the right balance between number length and/or the words used in combination with the numbers. You’ll have to sift through the names that you’ve come up with, as most will be awful. Below are qualities of good brand naming and some examples of poor brand name qualities. Ideally you’ll own your domain name outright. Depending on what name you go with, it may be more or less difficult to obtain the ideal domain name. Do a Google search to make sure the name(s) your considering doesn’t appear in similar searches. Check for any red flags. This will also help you weed out names that are already trademarked. You want a good story to tell when people ask about your brand name. Take time to craft the best way to tell your story. You want to stand out from your competitors, but being too far out may dissassociate you with your industry. You run the risk of your audience not being able to quickly connect with it. Think of Twitter. You can tweet in the world of the “Twittersphere”. This is a clever way of building brand loyalty and creating culture. In every industry there are cliches and overused phrases and words. Using a cliched term can make your product feel outdated before it even launches. If you want to reach a global audience, you will need to take time to get to know your audience. Make sure to research the breadth of your meanings and connotations of your brand name and messaging – especially in other languages. You should have a list of 30-40 names you could potentially use. Most of them will be awful. Sift through them (using the criteria mentioned above) and pick the top 5-10 viable names that would work the best for what you’re trying to accomplish with your business. Remember your overall mission, your goals, the type of audience you want to draw in, and the type of brand architecture you’re wanting to use. These should be the criteria in which you use to sift through the various options you’re presented with. It’s imperative that you research the names you’ve chosen for your final list. Check to see which domains are available, if they are trademarked, and if there are any negative associations with the name you’re choosing. It’s the internet – anything and everything is on there, so it’s best to look up the names you’re considering and see what can be pulled up. If the name you’re wanting to use has a domain name available, I’d mark that as a strong contender. If it’s taken, look into seeing if you can buy the domain and for how much. This can be a lengthy process, so only spend time on this if that is the name that you absolutely must have and nothing else is going to cut it. Depending on whether or not you can purchase that domain, you may have to settle for something that isn’t a .com or choose a different name entirely. Remember – Story first, name later. A good story will help you create a name worthy of that story – something memorable and impactful. With this guide to help give you clarity, you should be able to begin the journey of brand name exploration. If you want 1:1 help creating a brand that is memorable and truly marries the goals of your business with the needs of your market, let’s chat.